Please critique my shirt below and let me know if there are any problems and what needs to be corrected. 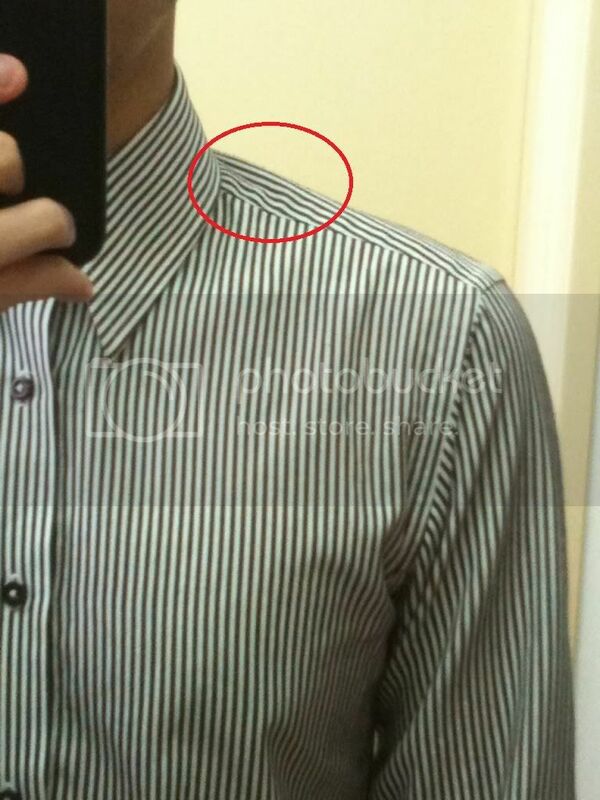 There is a slight ripple on my top right shoulder near the neck, and continues at the back of the collar. 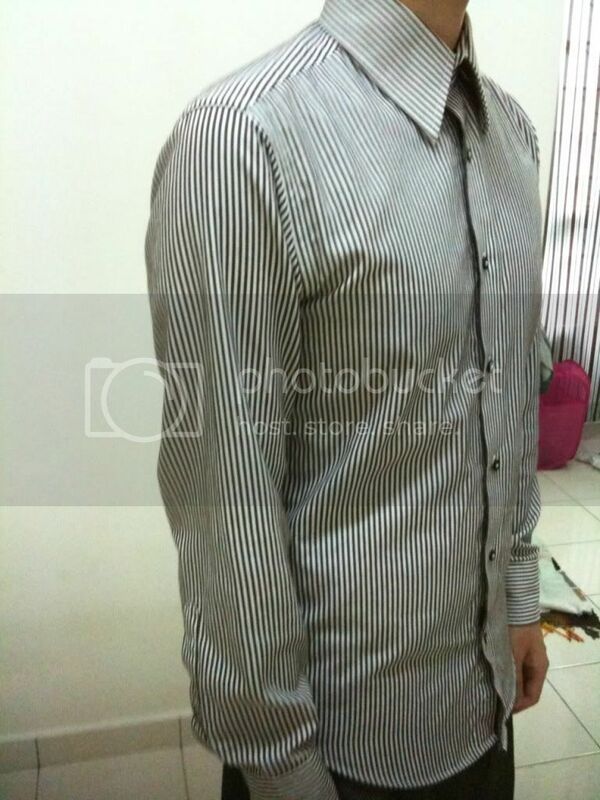 Bump in placket between the top (collar) and second shirt button. In terms of style, I've asked for a really fitted shirt (in pictures it looks bit worse than in real life... ) but feel free to critique how I might make adjustments to the style of the shirt so it betters the silhouette or look. 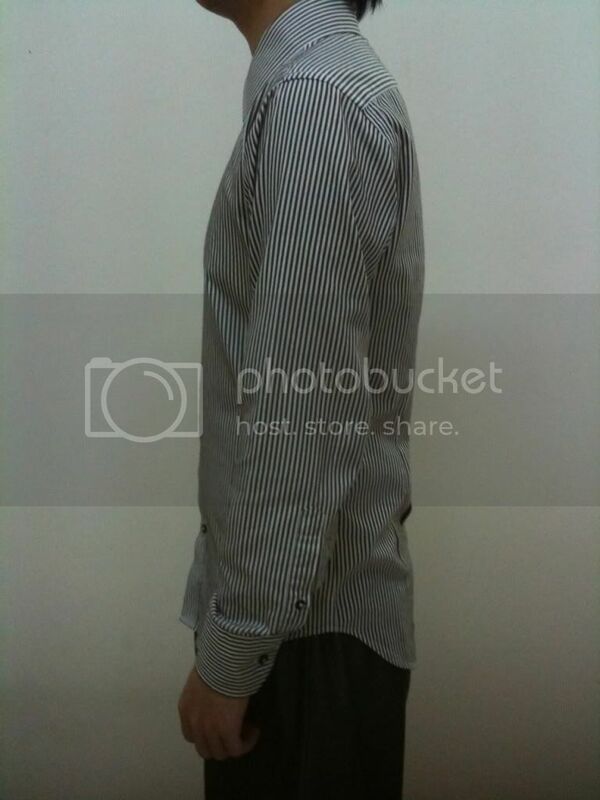 It looks like the pleat at cb is sewn dowm so why have it in a fitted shirt? It looks like it is so slim in the hips that it causes pulling through to the chest. The gaping (bubble) above the second button makes me think the front neck point position is incorrect, and that could cause the ripple along the shoulder. There seems to be a something going on with the sleeve - it looks a bit twisted. If the draft for the body has been modified a lot, the sleeve pattern should be modified as well. Thank you for your feedback. Is there a guide for 'correct' fitting shirts on this site, like those for coats? 2. Bubble at second button + ripple - yes, agreed. 3. I also have a dropped (forward) left shoulder from the pictures. (This is probably?) making my left shoulder's width narrower than my right. 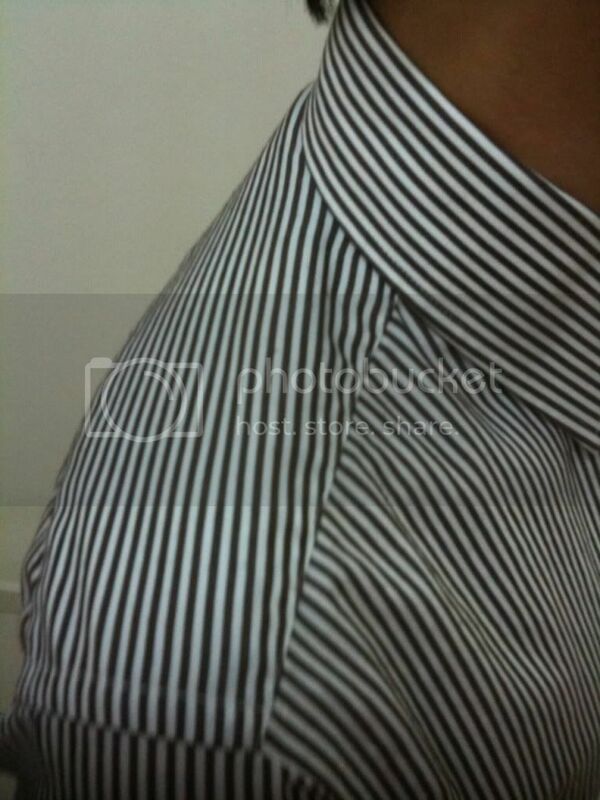 My right shoulder will have 'pulls'(at collarbone area) when I stretch, but not on my left. Also, how do you reduce the clavicle / collarbone from protruding out? Creating a 'pocket'? Double post. No idea why. How do I delete comments? Edited by YogilaT, 23 March 2011 - 10:07 PM. Edited by YogilaT, 10 April 2011 - 05:38 AM. 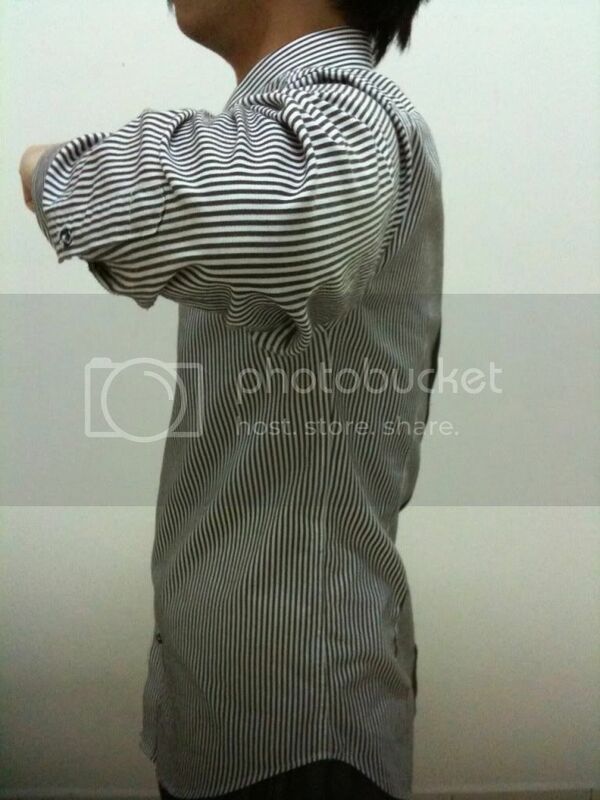 For me your shirt is nice enough, a shirt is not a sakko/sack/coat. Different groups have different ideas about how a shirt should fit. A couple of rules is comfort and movement. A shirt that you make that stays under a suit coat could be made different than one not always under a suit coat. The one that stays under is part of a group of clothes, and not an independent. So the aim is a bit different for both. The ones that stay under should always appear nice (of what can be seen), but never interfere with the coat. For example an 8-7-8 instead of 7-6-7. W.D.F. Vincent may have some hints about shirts and fitting and other expectations. Can't really think of any other place that might give some lessons. His patterns maybe old but what he might have written about shirts some of that could or should apply to modern shirts. The modern trend is to go around with a shirt without a coat. This leads some clients to seek to have shirts that are fitted in the same manner as coats. The problem is that the shirt isn't really meant to be like this. You are fighting the very nature of the garment. If you try too hard, you can end up with a very uncomfortable shirt. It's by nature a rather drapey garment. 1: Have a smaller collar. This one seems too big for your slender frame. 2: Reduce the sleeve upper width and with it the armhole depth. 3: Folds around the neck. Not sure, my guess would be either a collar stand that is tighter than the neck hole or a neck hole shape that is not perfectly smooth at the yoke-front part seams. Or a false matching of the matching points of collar and neck hole (collar is sewn on too tight in the back but with length in the front (neck hole is stretched). The (non-functional) pleat in the back is a mere style issue and up to you. My personal preference would be to have a fitted shirt without it. It is indeed possible to make a shirt like a coat so nice. I did that 21 years ago, the shirt was fitting like a Zwangsjacke/Strait Jacket with Kimono sleeves, since then I forgot about making a shirt. There must be a certain draft construction to be used, then it will work. I think I saw one in the Muellerbook. I have a construction of a evening coat shirt 1955 that might work as well. But the point is a shirt cannot fit like a coat you don’t know how it feels to be sweating in a strait jacket shirt, it is the absolutely end! This is the way it seems to be. I might add the rtw seems to be ahead with the trend of shirt without a coat. It's by nature a rather drapey garment. Somehow darts just don't look right in a mens or boys shirt, so drapey is better. I was thinking about posting an old picture from 1907-8 of a medical doctor in a mountain town who operated on site either farming or logging and other accidents. 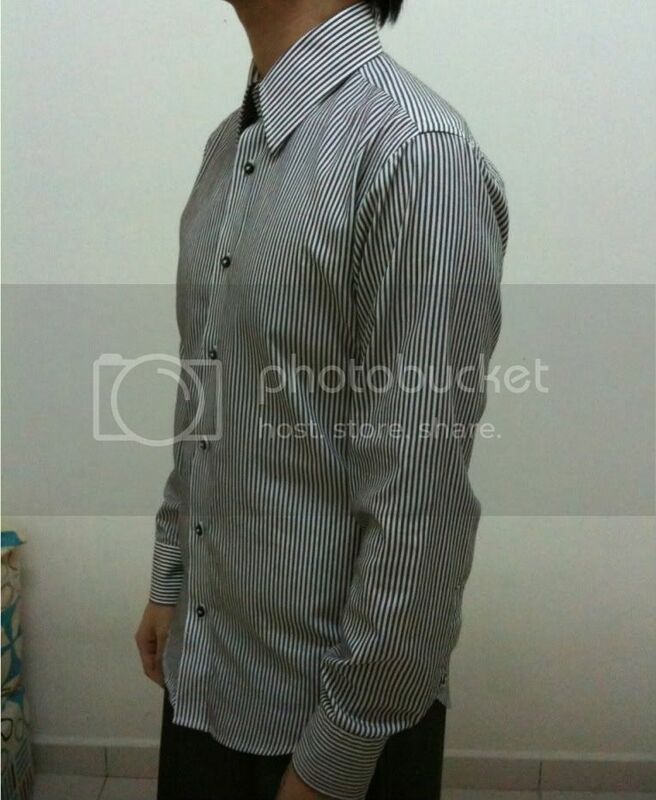 Anyway, the shirt style is rather old with added collar. But a good study of the shirt and it seems like it was fitted from the neck to shoulder ends, or past, and then the neck line was fitted. So if the coat was buttoned it would be a very good example (the shirt was tucked at an angle, so not perfect). Sometimes when looking at garments from the past you see principles that have been forgotten. And no tailor knows it all. I like looking beyond the trees (something out of time) and see the forest (principles). Some lessons are even hidden in between the lines. Thank you everyone for all the responses. Very much appreciated. 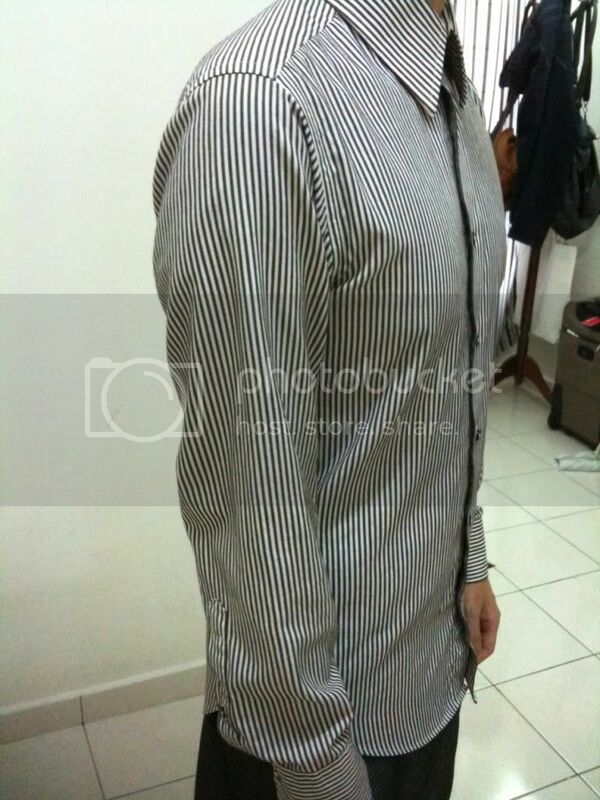 Its just that on another thread here about shirt fit, there were issues like pulls or drags on the front part, as well as some bunching on the neck/shoulder, eventhough on the muslin to my untrained eye it looks very nice! In general, is it correct to say that a shirt should drape and fit like a jacket? Smooth lines all over - no drags or pulls. I believe it should fit about the same all over the body - ie if torso has 'ease' of about 1 inch around, then chest and sleeves (for example) should fit about the same as well (without compromising comfort), with no drags / pulls / excess cloth - much like a second skin. Clean and smooth lines (like a sports car!) are pleasing to my eye. 1. On my upper sleeve, there are diagonal pulls, which would be solved by reducing the sleeve width and armhole depth (as suggested by Schneidergott), correct? 2. Back of upper sleeve also seems 'messy' - maybe pitch could be adjusted? 3. Drape on front and back of armsyce - if shoulders were reduced a bit, it would probably solve this issue (although could lead to tightness) - this could be a 'style' preference though - 'drape cut'. 4. Could be slightly larger at the torso/hips so no diagonal drags on front - maybe slight balance issue - front too short / back too long? 5. Neck hole / upper shoulder drags and bunching at placket etc - Overall, I think it just doesn't 'rest' perfectly on the shoulder / neck. I am a little stooped, have slightly uneven shoulders - right is wider than left, more square, with a slightly lower and forward stooped left shoulder (you can see this on the frontal pictures) - I'm right handed and used to play racquet sports so its more developed. I'm going to tell the tailor to have a split yoke,although not sure how to adjust for these. Apologise if I am insistent - now that I'm going bespoke, I want it to fit perfect! Edited by YogilaT, 12 April 2011 - 08:33 PM. The body of knowledge with regards shirt fit is paltry and underdeveloped. It's probably because shirts were undergarments, always covered by a coat. 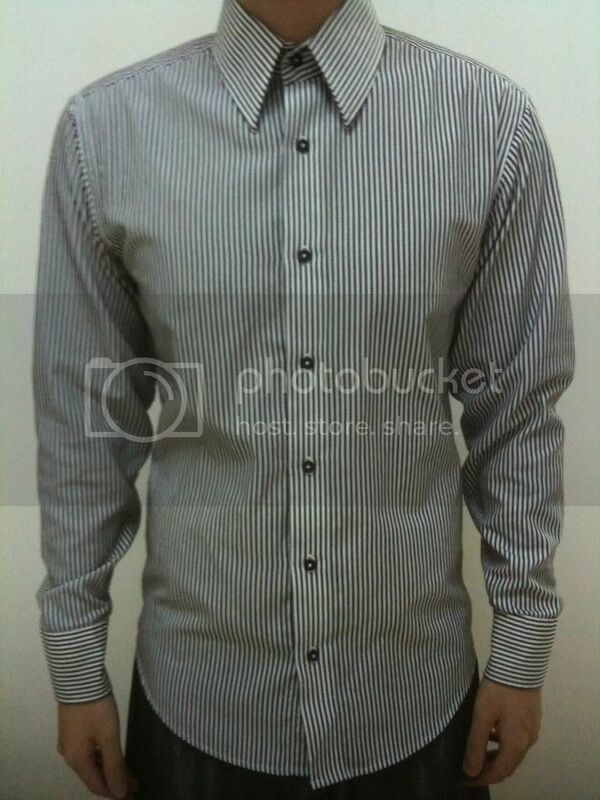 But nowadays shirts play a much more important role because it is what most people are seen in. Maybe you read ot look through this, it is nice done. When you want a second skin you must alter a shirt draft very much. The shirt is supposed to have ease about maybe 12 cm (and more). And you do not get a tighter fit, just sewing it tighter. You must work with darts in back and front and not taking so much out at side seam. The balance is not right. The sleeve cap is not high enough for so a tight shirt. But all this is written in the posts before. 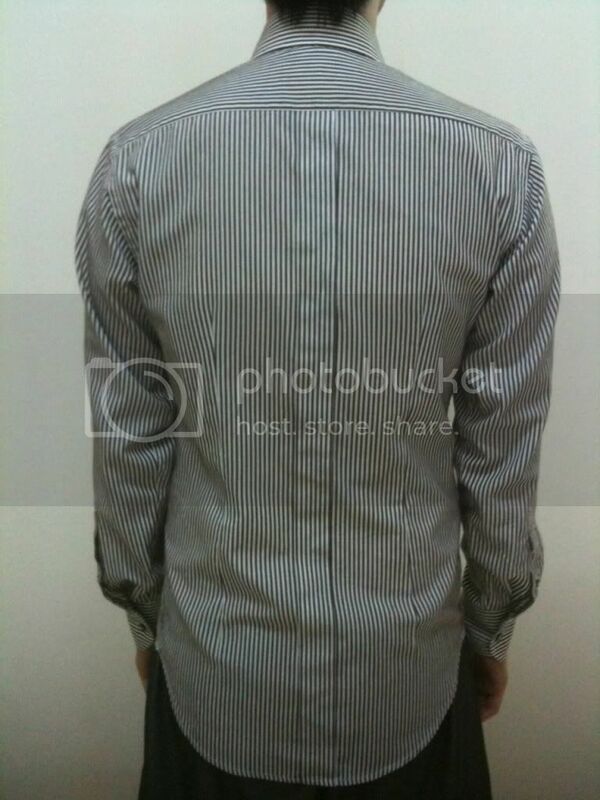 Unpick collar and sleeve and do new photos - front -back-side view (left and right)showing the whole body that posture can be observed. So we can work first at the balance and the yoke up to collar and sleeves. Posaune, That is an interesting website. YogilaT, There are many types of shirts from dress shirts to golf shirts to t-shirts and so on. Most of them I would not consider a second skin and some not at all, which means that some certain parts could be sort of a second skin. Some can be rather baggy. The reason for a two piece yoke is a pattern on the cloth such as stripes and different fit of shoulders. If you have a single color or some pattern like paisley it can be single piece but each side cut to fit that side. If the shirt is going to be under a coat all the time then a shirring stitch would be good because it gives ease into that part of the sleeve, which means it has to be cut larger, but maybe you won't like this. Some of the new knowledge sounds really good, but some of the knowledge of the past is for gotten, so how can one compare? Some tight looking garments should feel baggy- to do this takes time in fitting. BTW keep in mind that the OP is a client. I doubt that it is going to do much good for him to go to his shirtmaker with the feedback here and to "teach" them to redraft the pattern. [The sleeves are too big in ratio to the body of the shirt in addition the body is cut too close thus the over effect is that you look top heavy. A bit like the letter T.
Go and find another shirtmaker if you don't like your shirt.